As California and Nevada real estate values escalated in the past 10 years, Mammoth was especially prone to “triggers” that sent the market into mini frenzies––Intrawest marketing pushes (originally dubbed “mail drops”) and other well timed “announcements” and hyperbole, and the granddaddy, the Starwood acquisition era. And the ridiculously low interest rates and easy qualifying spiked the Kool-Aid bowl. But now the economy is turned on its head and developers are hunkered-in and real qualifying is back in the process. So is there any possible trigger on the horizon? (By-the-way, anything with “Ritz-Carlton Mammoth” emblazoned on it may become a valuable collectable.) My personal feeling is this potential trigger will likely come from an external influence rather than an internal one. But in Mammoth one can never be sure. Since I’ve always fantasized about writing fiction, let’s first discuss what the possible internal influences could be. The two-and-a-half years of new Ski Area ownership appears to be a rudderless boat, almost dead in the water. If we compare the timing of the purchase (the top of the market and most likely overleveraged) to so many other purchases in that time frame, words like default, write-down, short sale, etc. instantly come to mind. Oh, excuse my ignorance, the Ski Area is too big to fail. The really exciting thing coming is the new branding, to be set in motion this fall. If it isn’t perfectly professional, with solid buy-in from the community, then it may just become the New Coke of Mammoth lore. I’ve promised to be open minded and enthused. The Ski Area just seems to lack leadership of any kind. It appears to be run more like a highly leveraged hedge fund lost in denial. And we know there are plenty of those out there, just open the financial pages. Maybe Woolly could become the new figurehead and make guest appearances in town assuring the citizens that everything is all right. But the point of all this is that something has to change––maybe new ownership, new management, somebody or something, with real resort experience and caring. I hope for something other than a bunch of blast-through private equity/hedge fund/Wall St. profiteers in our future. Excuse my ignorance again. It may take years of pain, but…the sooner the better in my opinion. But would that be a trigger? And meanwhile, real estate values could take such a direct beating due to this floundering that this alone could be the trigger. 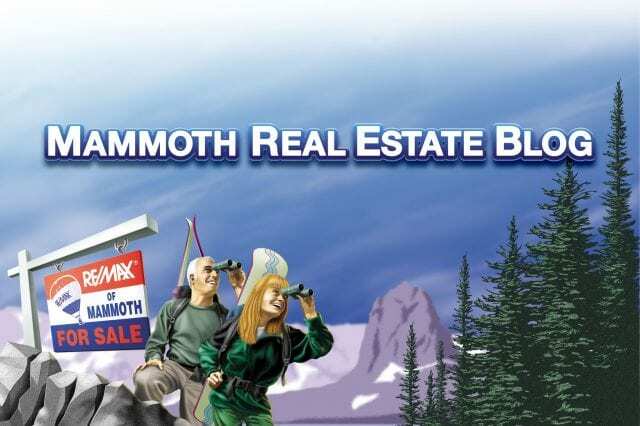 People (buyers) are definitely out there looking to invest in Mammoth. Most are on the sidelines trying to time the bottom. Other internal triggers? Most now fall under the category of “lost opportunities.” Kool-Aid clouds the thinking, darn it. (Or maybe we just need enough passage of time for people to forget.) The “new” airport and air service won’t create any pop. If successful and able to continually grow and expand, there is no doubt that it will be good for sales activity and values. But it will be an ongoing process. New splashy developments have lost their trigger value––too much letdown emanating from the Village and Eagle developments, or lack of developments. I say five to ten years to correct that ship, and about that much time to re-absorb the inventory to create any real demand, or at least the demand for developers to justify moving forward. The condo hotel concept is going to need some serious re-working, the lenders on both ends are scared to death and the concept is flailing in almost all markets. Here in Mammoth, the back-end execution (promises, promises) of these development plans has probably caused more damage then anything else. The projects themselves are okay, but the other “pieces of the pie” were left out. So maybe now we can convince the outside world that we have the Fountain of Youth here somewhere (Dave seemed to have found it). Or maybe we should quietly plant gold instead of trout in our local creeks and bring back panning. The powers-that-be need to create a new gold rush. They don’t seem too interested in fundamentals. The external influences are much more compelling. Whether they have the potential to create a frenzied trigger is hard to say. I’ve referred to Mammoth as a “safe haven” because I’ve heard that term used by others. It’s more than just affluent people parking money in local real estate. What I’m talking about is the potential for a “black swan” event, or even the general degradation of life in southern California metropolitan areas. With ancestry in Los Angeles reaching back to the 1800’s, I can’t ignore the area’s history of civil unrest. Things don’t seem to be getting any better and tougher economic times will only make things worse. Problems there could create more demand here, and a small surge in demand can put plenty of pressure on the limited supply of this market. For many, Mammoth could move from being discretionary to necessary. On a grander economic scale there are many variables. Money has never flowed from asset class to asset class with such rapidity as we have seen in the past 10 years. I clearly see some flowing back to real estate already. 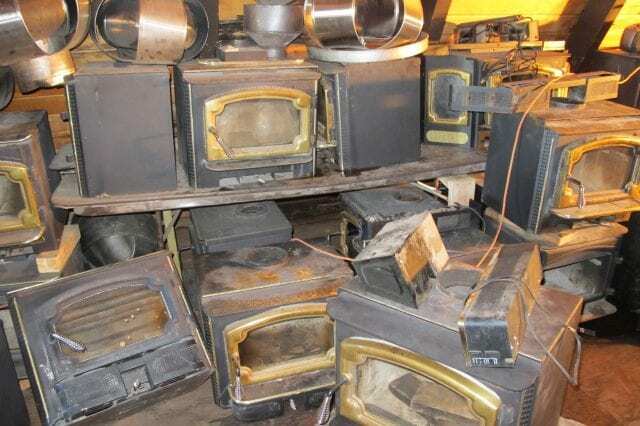 It’s part of a greater diversification plan for many. There is plenty of cash on the sidelines, but if it gets nervous about inflation (or even hyperinflation) then it will likely jump into the game of hard assets. Interest rates are moving lower for those who have down payments and can qualify (what a concept). And the factors I’ve discussed ad nauseam––proximity, climate, etc.––are still here. 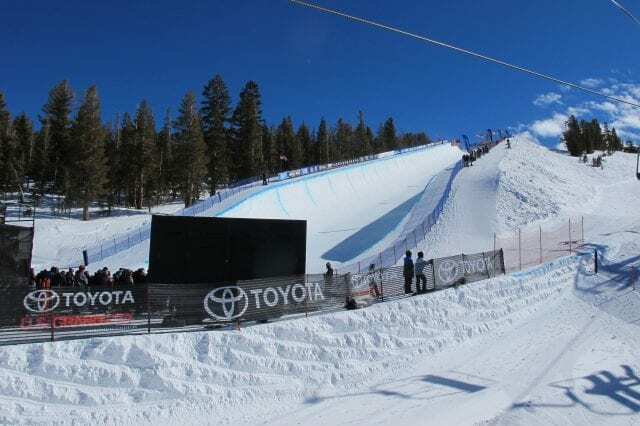 And maybe global warming will make Mammoth the only reliable ski area in California. Then there are personal triggers. The older you get, the more meaningful these things become. Time waits for no one, not even boomers. If the growing consensus is we’ve entered a prolonged “muddle through” economy, why muddle along with it? Talk to your orthopedic surgeon and make sure you’re good to ski and golf for the next 15 years. Then get on with it. Meanwhile, the Mammoth brokers who have devoutly pushed the local developer’s overpriced product the last couple of years are now chasing foreclosures. Talk about triggers. Allegiance and loyalty are thrown out the window in exchange for new profits and survival. Are the local developers sitting on inventory asleep or are they just waiting for the sheriff to come knocking at the door? But I digress. I’ll work on more of these questions. So many questions, so little time. First, late-summer, early-fall (those pine needles) in the Sierras; now that sounds scrumpdilitious. But, civil unrest in LA? Where did that come from? You may know you’re reaching when you’re foreseeing discord 400 miles away as the cause of a pop in your local market. Armed guards and a garrison in Mojave to keep out the interlopers? Plus, I think Mammoth is a little too far south and not high enough if this global warming is for real. Think Banff or Big Sky, Montana maybe. Sorry to say but after today’s 500 point dow loss, lehman bankrupt, bofa buying Merril, and more bad news to come, mammoth may come back to pricing similar to 1999. Where it should be I may add. Thank god Mammoth offered the MVP or that town would be awfully quiet this winter. Hope its quiet while my dog and I am sleep in my van at the campgrounds. BTW dont think Wells Fargo is out of the woods. You may want to sell your shares. Paul, I appreciate your intelligent observations and well written analysis, but it seems that within each post is a veiled attempt at shifting blame away from our local realtor/lender/developers, the folks who, for the last ten years, have over-hyped and hyper-speculated the market to death. Short-term gain was always the goal. I worked with many realtors during the boom, and observed very clearly this process of greed and lack of forsight – always the assurance that property values can only go up. I warned others of the impending bubble and unsustainability of this market, but greed always seemed to trump rationality, and now I have friends who may lose everything. Isn’t it time to own up? If not personally, at least for your profession of sellers and the role they’ve played in this mess that threatens our entire economy? tomk, thanks for reading here. I think it is time for all of us to own up. Everybody, and I mean everybody (even the day laborers and dishwashers), went to the party and all need to take responsibility for their own consumption level and subsequent hangover. Quite frankly, I don’t think you’ve read here long enough or deep enough if you think I am trying to shift blame away from the local agents, lenders or developers. Maybe I’m just trying NOT to bash them as much because Lord knows they’ve complained to me about it. You can’t believe the things I’ve heard. Some even think I’m (solely) to blame for the decline in values in Mammoth. During the recent heyday market I had to terminate a top producing associate for fraud I discovered (with an ultimate license revocation), I received foul language phone calls from the highest-ups at our favorite ski area, was accused of being “an Intrawest hater” during an Assessment Appeals hearing, had several long-term associates leave my company because “Paul’s too critical of the industry”, and on and on. “Shifting blame” will be tonight’s cocktail chuckle. I’ll toast you for that one. In light of the very present meltdown on Wall St., the local real estate players were only delivering pizzas in this very grand game of Ponzi. Who cares about a turnaround? Anyone who buys in Mammoth to flip for a quick profit deserves what they get — be it a quick 100K profit or a foreclosure and destruction of their credit rating forever. How can you blame realtors for stoking enthusiasm? That’s like blaming stock brokers for pushing stock. The ultimate choice and responsibility is on the buyer. I bought in 2007 for 200K less than what the prior owner had paid and then watched as my wife put 100K back-in to update and remodel the place. And our return? How about 20 family trips to Mammoth and more quality time with my kids in one year than in the preceeding five combined? How can you focus on quick ups and downs in real estate when you can walk back along the Rock Creek trail and enjoy a slice of pie at the general store? Anyone can buy on spec or build on spec but that, by its very nature, means that the transaction is speculative with the attendant ups and downs. As for “investment” I believe my investment is financially sound and pays dividends every trip I take (including the one next week). As for the town, we support the town by buying local and my wife certainly kept a contractor or two in business over the last year. As for my real estate broker (disclosure – not Paul) she was professional and of course enthusiastic (hell, she only makes her $ if the deal closes) but I had 35 years of experience in Mammoth to make an educated and informed decision and to stay the hell away from the Village and Westin. I personally know 30 families who have places in Mammoth. The only one who regrets their decision was the one family who did get caught up in the hype and bought in 80/50. Two years later they still can’t figure out what they own. Will Mammoth prices come back? Yes. When? Who knows. But this summer was the busiest I have ever seen and the town just buzzed every weekend. One gripe — can someone please kill the art shows which have the same paintings, “crafts” and other stuff every single time? With air services coming soon (and Paul I really believe this will be a seismic event to the area — in a good way) and the town pumped for winter I think we may see a rebound or maybe a dead cat bounce around November. In the meantime, I’m getting ready for a hike on the meadow, a bike ride on the miles of new path and the opening of the new 4 lane stretch between Independence and Big Pine. Paul, thanks for your insight and wisdom. A rebound? Not in our life time..
yeah, it is likely that the resort is heavily leveraged unlike its previous state under DM. However, Dave and family definitely were wise to sell for all cash and be rewarded for their lifetime efforts to build Mammoth. The guys who own Mammoth, for the most part, could pay off the purchase debt out of petty cash and operate without debt service, these are not investors with no deep pockets. With all the opportunities these “big time” investors are presented with, it should be obvious they, like other mammoth property owners, didn’t just invest in Mammoth for profits, rather it is obvious to me they also appreciate the lifestyle return in resort property. You notice that Tri engine jet at the ML airport everyone now and then? Check out who owns it, he is enjoying spending time in at least one of his portfolio investments. 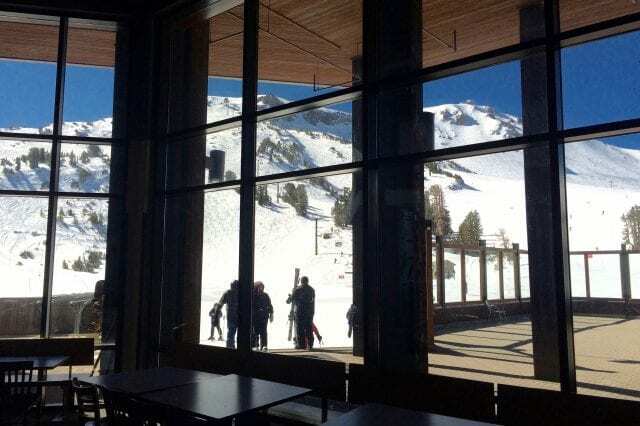 The leadership team in Mammoth were trained by one of the best operators in the US ski business, there is not anyone else who is going to come in and do a better job than these folks who have spent most of their adult lives working here in Mammoth. The market will end up where it ends up. The developers and the resort will figure out what is wrong with their marketing and pricing and get it fixed, the individual sellers will follow along. You have 25,000,000 or so folks in California. You only need a small percentage of them to want to simplfy their lives and live in a spectacular place like Mammoth Lakes to make a huge impact in your market. Once the S Cal. home market prices stabilize in the next 18 months sellers with lots of equity will be able to move their homes and will be looking for their place at Mammoth. chill folks, this was a monumental crap shoot, cleaning it up will take some time.